Black Friday deals don’t often apply to hot products that were only recently released – but surprisingly, Amazon has slashed the price of their newest 4K Fire TV Stick for Black Friday – and if you need a streaming device, it’s a no-brainer at this price. The latest Amazon Fire TV Stick 4K With Alexa Remote was announced back in October, and only started shipping a couple of weeks ago. It supports Ultra HD content (currently from Netflix and Amazon’s Prime Video service), as well as all three major HDR formats – Dolby Vision, HDR10, and HDR10+. 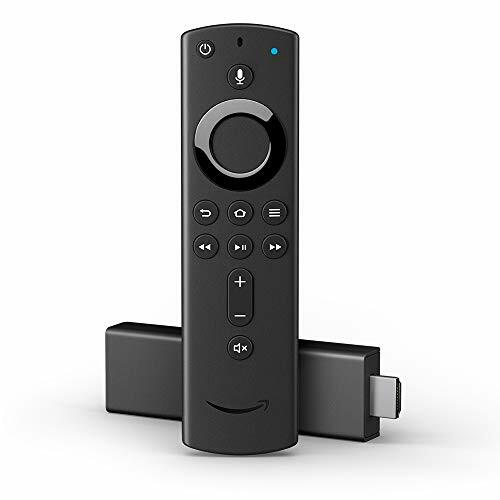 The 4K Stick also comes with a new and improved version of the Alexa Voice Remote, which allows you to control – and search – the device with your voice, and also includes limited Alexa capabilities. The new remote also features dedicated power, volume, and mute buttons for your telly or soundbar. Best of all, the Fire TV stick has a library of thousands of apps, including most of the major UK streaming services (BBC iPlayer, ITV, Amazon, Netflix, TVPlayer, etc’) – it does not, however, support NOW TV – for that, have a look at NOW TV’s own Black Friday deals. Normally, the 4K Fire TV Stick costs £49.99, but Amazon is now selling it for £34.99. Presumably, the deal will last through Black Friday, but stocks might end prematurely, so you shouldn’t wait too much. If you don’t have a streaming device yet, this is the one to get – even at its original price – so don’t miss the Black Friday price – get it here via Amazon. If you prefer, Argos is also currently selling the stick at the same reduced price – get it here from Argos.